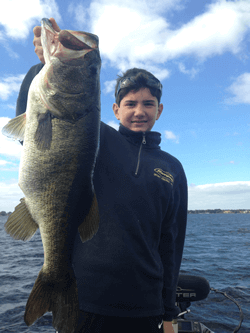 Trophy Bass fishing charters in Orlando & Kissimmee, Florida on West Lake Toho. 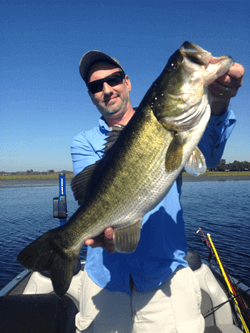 I specialize in fishing with Artificial Lures for those who want to improve their Bass fishing skills. My policy is NO FISH, NO PAY! 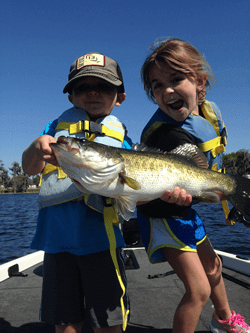 Orlando Bass fishing Guide, Capt. 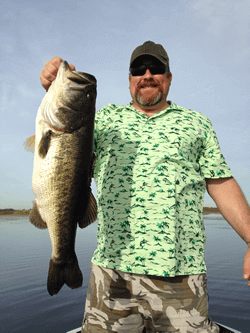 Chuck Pippin Jr. With over 19 years of experience as a professional tournament Bass angler and bass fishing guide on some of Central Florida's best Bass Fishing Lakes, I'll make sure your Florida Bass fishing trip is one to remember. I'm always on the water. 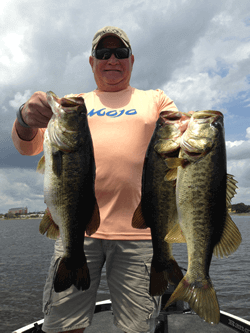 I do over 300 Bass fishing trips per year exclusively in the Orlando / Kissimmee area on West Lake Toho, the Kissimmee Chain, and Butler Chain of Lakes. This is not a booking service. Call or email me, and I'll be the person responding. I do all my own guide trips, built and maintain my own website, and take all my own reservations. 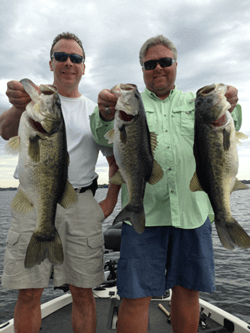 If I'm already booked for the day you request, I can assist in finding another quality Orlando Bass fishing guide for you. 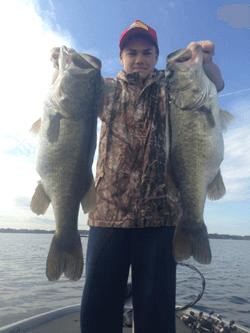 I supply all the Bass fishing tackle. 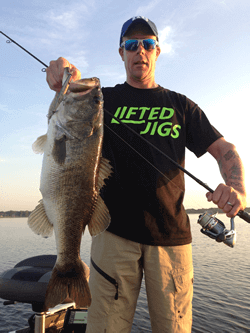 Quality spinning rods and left/right hand retrieve bait casters from 13 Fishing. 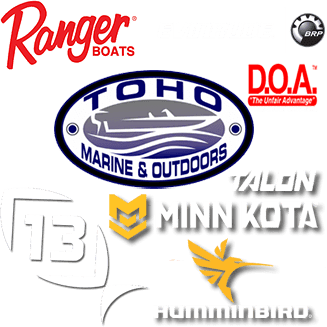 I also supply all the necessary terminal tackle & lures. Though, feel free to bring your own. 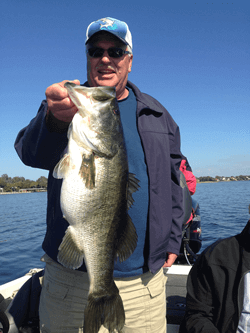 I can provide free transportation to/ from most Orlando / Kissimmee area hotels and resorts to make your Orlando Bass Fishing trip as convenient as possible.. Further destinations may require a small fee. 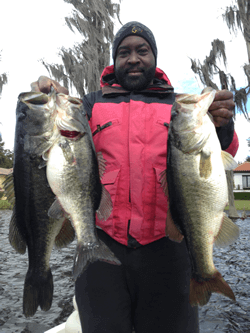 Simply call, text, or email me to book your Orlando Bass guide trip. I do not require a deposit. You can pay the day of your trip with cash or credit card. Or, go to my Book a Trip page for more info. 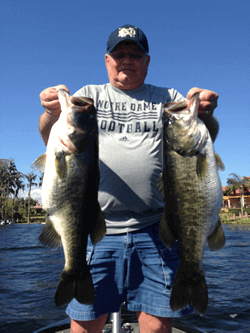 I specialize in both artificial lure fishing and live bait (Wild Shiner) fishing. 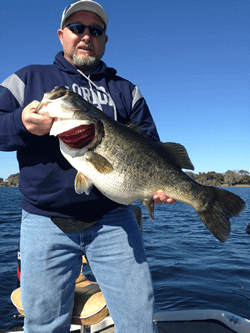 We can do all artificial lures, all live bait, or a combination of both. Wild Shiners are an extra expense.